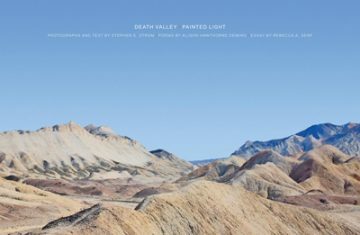 Death Valley is the lowest, driest, and hottest area in North America. Located about 150 miles (241 kilometers) west ofLas Vegas near the border of California and Nevada, it straddles an area of about 3,000 square miles (770 square kilometers). A land of extremes and contrasts, it includes Telescope Peak that towers over the valley at 11,049 feet elevation (3,367 meters) and an oasis that provides habitat for the endangered Devils Hole Pupfish (Cyprinodon diabolis). Designated a national monument in 1933 and expanded into a national park in 1994, its rugged yet otherworldly beautiful landscape now attracts more than 1,000,000 visitors per year.